DALLAS, August 9, 2017 — Two researchers have been awarded grants that could help uncover the next breakthrough in heart-health research, the American Heart Association and The Paul G. Allen Frontiers Group announced Wednesday. Suneel Apte at the Cleveland Clinic and Jeffrey Holmes at the University of Virginia have been awarded $1.5 million each to study the extracellular matrix — what scientists call the “natural glue” that holds tissues and organs together. However, recent evidence suggests that the extracellular matrix plays a much more central role in everything from aging to tissue repair to cell-to-cell communication. These dynamic aspects of the extracellular matrix remain understudied relative to other aspects of cardiovascular biology. “With these grants, we are trying to go beyond traditional research approaches and reward out-of-box thinking,” said Ivor Benjamin, M.D., professor and director of the Cardiovascular Center at Froedtert & Medical College of Wisconsin. Benjamin, who is also the AHA’s president-elect and immediate past research committee chairman, helped select the two projects for funding. Tom Skalak, Ph.D., Executive Director of The Paul G. Allen Frontiers Group, said the organizations sought an uncommon approach to fight heart disease. Suneel Apte, M.B.B.S., D. Phil, said architecture helps describe his work. Apte’s research team will study how and why breakdown occurs normally, and how it may contribute to heart development and vascular disease. Too much extracellular matrix breakdown is harmful because it weakens the structure, and cells rely on correct extracellular matrix composition and quantity for health-giving information. Jeffrey Holmes, M.D., Ph.D., professor of Biomedical Engineering and Medicine at University of Virginia, Charlottesville, said his research will bring together investigators and methods from bioengineering, immunology, physiology and chemistry to study when, where and how information is encoded into the extracellular matrix. To understand how information is stored in the ECM, Holmes and his team will consider how proteins are deposited, how rapidly they turn over, what role aging plays in these changes, and how these changes influence cell-matrix interactions. 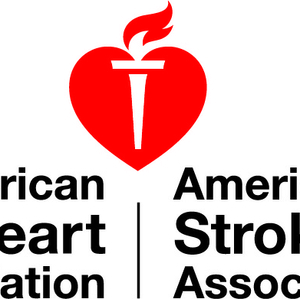 This joint endeavor leverages the combined strength of the American Heart Association, with renowned expertise in cardiovascular research, and The Paul G. Allen Frontiers Group, which supports pioneering scientific explorers with the potential to transform cardiovascular medicine. More information about AHA’s scientific grants and application processes can be found on the AHA’s website.